Find out Why Great India sale for Diwali 2017 is the Golden Opportunity for all the Sellers ? Diwali the festival of lights and to fill lights in your life it is the best season to bring in more sales opportunities for goods and service industry. Over the years online sellers have started finding their cash registered every second. Customers who are living in small cities or have busy daily schedule find it very easy to buy quality products online with great discounts. The behavior how people shop has changed over a decade. The highlight of the growth trajectory of Indian online retail for the years 2014-2016 is the surge in sales during the Diwali season. Unarguably, 2014 was the pioneer year for Indian e-commerce when potential sales opportunities converted many offline sellers into an online seller. 2015 and 2016 proved that online retail had won over customers’ hearts for all their festive season wants. Reports say over 3 years there is 1.5 times increase in year on year sales. Online marketplaces like Amazon have been tuning their marketing strategies and strengthening operational capacities way before the advent of the festive season to avoid any glitches. 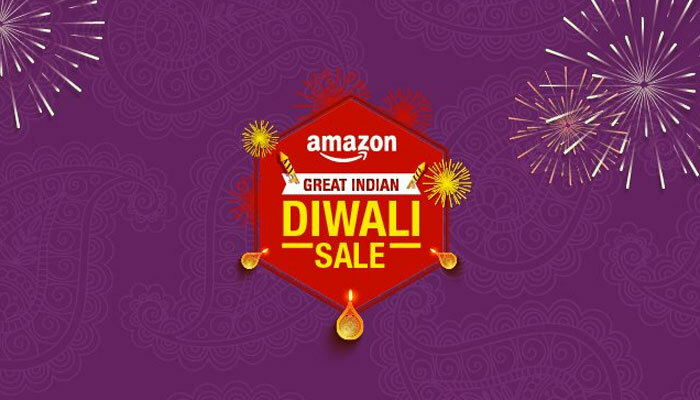 Amazon India spent Rs.150-200 crores in advertising last year to promote their Great Indian Festival Sale during the Diwali season. Additionally, they ran special imaging and cataloging offers to incentivize sellers, old and new, to prepare for Diwali. While the retailer registered close to 400% increase in new customers daily, sellers were rewarded with 8-10x sales for their daily orders. “Diwali season sales are something that we look forward to. The demand of buying goods and services in the market and marketplaces increases due to which competition increases thus allowing spending millions on marketing and promotions, which results in a manifold increase in sales. I have seen sales jump even 3-5 times in many categories especially electronics, home appliances and fashion. Why is the festive season a winner in online shopping?